At Unlimited Recovery, we have tow trucks and cranes sized to handle all types of towing situations. We can handle anything from 4×4 trucks that are stuck in the swamp to tractor trailers and city buses that need a tow to the maintenance shop. 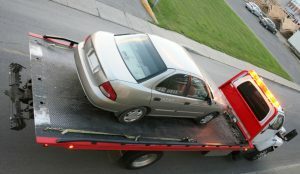 The owner of the vehicle is responsible for the towing fees associated with this service. We provide our towing service and signs for your Durham property at no charge to the property owner. One call is all it takes to begin to have unauthorized vehicles legally removed from your parking lot. Unlimited Recovery demonstrates fair and equitable handling of parking violators, without the price gouging or unethical treatment. We specialize in damage-free service and our drivers are courteous, trained and uniformed for everyone’s safety. We also provide towing for many other types of illegal parking, so make sure to contact us for more information. Thanks a lot for the fast service, someone took my personal handicapped parking space outside my mothers building. Without you guys i would not be able to get her into her home without a major hassle. Thank you Unlimited! A special thanks to your company for taking care of us and for providing a tow to the auto shop. Your operators were very quick and professional which made the whole experience go smoothly. Contact Us Today for All Your Towing and Recovery Needs in Durham NC! Call 919-790-9393 or find out more about Unlimited Recovery or our other serviced areas Chapel Hill NC Illegal Parking. Don’t allow your Durham business to suffer at all from the inconsiderate parking of other people, keep your storefront orderly and parking spots open for actual paying customers!